It's the Holiday Season, and you don't get your Christmas Bonus. The only logical solution is to start a killing spree at a corporate party. Welcome to the group page for Party Hard 2, the sequel to 2015's stealth strategy hit. Announcing Party Hard 2, Alpha Sign-Ups Open! 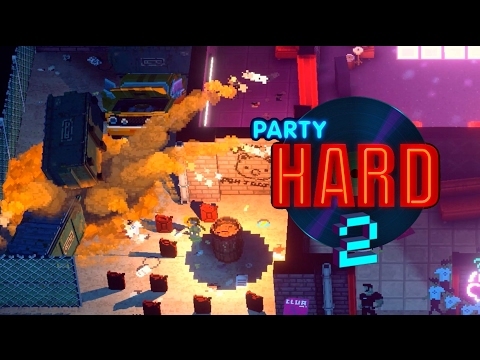 We're incredibly proud to announce Party Hard 2, the full-on sequel to 2015's stealth strategy game about taking out people at parties. This time around, you're playing as a completely new protagonist who didn't get his Christmas Bonus. The only logical thing to do is to go on a rampage at a corporate party.